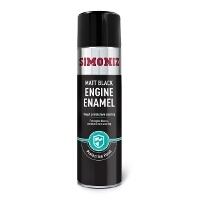 Whether you’re after a small or large amount of paint, or whether you need it in black or a specific colour, the range of engine paints available here at Euro Car Parts is sure to house what you need. Black, silver, blue, clear - it doesn’t matter what colour engine paint you’re on the search for, here at Euro Car Parts, you’ll find everything you need. Whether you need to just do a few touch ups, or if you’re looking to spray the entire engine, we also sell the paint in the quantity you’ll want to. 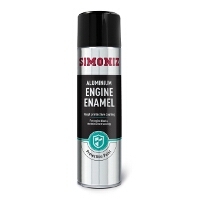 Available in 250ml, 400ml and 500ml, our range is comprehensive regardless of whether you’re running a workshop, or just smartening up your own vehicle. What’s more, these paints are built to last, with colours to match your exact type. Found what you’re after? Great! With Euro Car Parts, you can order today for free UK delivery, or you can order online for collection for free from one of our 200 branches across the country. You might even be able to pick up your order the very same day. Not the colour you thought you’d ordered? Don’t panic - we offer returns every day of the year.